BAY SIXTY6 GIRLS NIGHT TOMORROW! 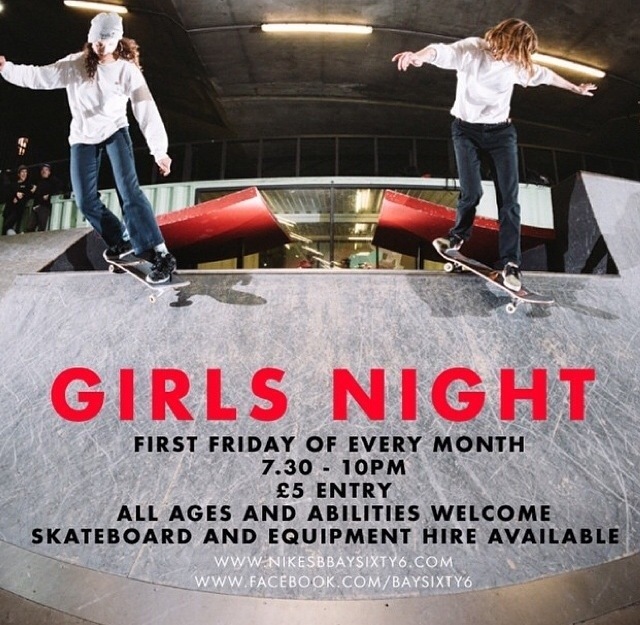 Don’t forget that tomorrow is the first FRIDAY of the month which means you need to pack your skateboard and get down to Bay Sixty6 on Acklam Road in London at 7:30pm. The 2 and a half hour session costs just £5 and is open to all ages & abilities! ← UNIT3SIXTY GIRLS NIGHT FOOTAGE ONLINE NOW!